Don’t let the tiny flaxseed mislead you. Great things come in small packages. Flaxseed is loaded with both soluble and insoluble fibre, is one of the richest sources of a plant compound called lignans, and it’s an excellent source of that heart healthy fat omega-3 fatty acids. 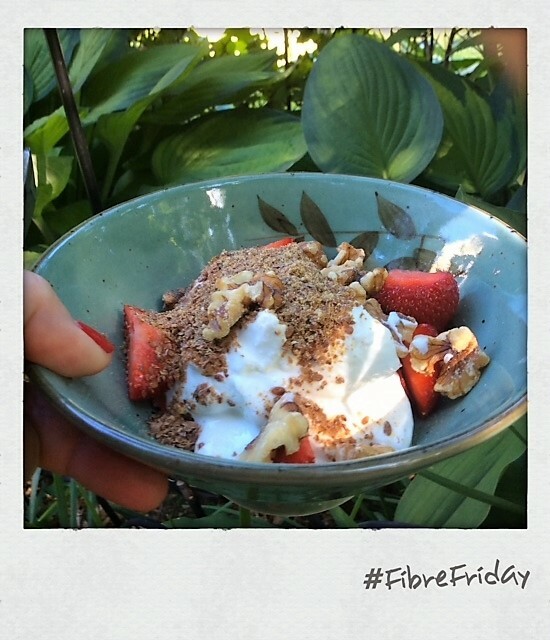 We all know that fibre is good for us, but did you know that there are 2 types of fibre? Insoluble which helps keep you regular and soluble which helps lower total cholesterol. Flaxseed is a great source of both types of fibre. Heart healthy omega-3 fats are making the news everyday. Studies have shown that people who consume more omega-3 fatty acids are less likely to have a heart attack and if they do, they are less likely to die from one, and yes you guessed it, flaxseed is an excellent source of omega-3 fat. To round out it’s nutritional profile flaxseeds are the richest source of plant lignans, a type of phytoestrogen, which has been shown to fight against hormone related cancers. Quite the pedigree! And all contained in tiny reddish brown or golden seed. Flax comes in several forms: oil, pills, whole and ground. Which is the best buy for your nutritional Looney? The ground seeds. The fibre, lignans and omega-3’s are readily absorbed from this form. The only way that all of these wonderful things are absorbed to their greatest capacity is in the ground form. If you eat them whole they are really just a laxative. Hello, Good-bye. Grind up the whole seeds to the consistency of coarse sand. Either buy them whole and grind your own in a coffee bean mill or buy them already ground. Store the whole seeds in a cool dark place for up to 1 year and store the ground seeds in the fridge for up to 3 months. Eat 1-2 tablespoons of ground flaxseed everyday. Start off with 1 teaspoon/5 mL And work your way up to 2 tablespoons/30 mL. You can add the ground seeds to peanut butter sandwiches, into a smoothie, sprinkled over pasta or in this muffin recipe. With all the rich food this time of year, what a healthy reminder! Love the baby food addition…great idea! Glad you liked it! I just had a bowl of fruit and yogurt with ground flaxseed sprinkled over it. Flaxseed really is my hero!